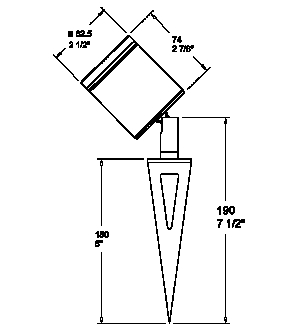 The Spike Spot Adjustable Stake Mount has been designed for easy installation into the earth and is ideal for illuminating a bush, tree or any landscape feature. The fully adjustable head allows 360 degree rotation and 0-90 degree elevation. This version of the Spike Spot has the power cable exiting through the cable entry tube.